Missed the last Opera Uptown performance in downtown Adrian? Don't "Fret" because we have photos to "Key"(Music puns...) you in on the performance so that you can attend next months performance! 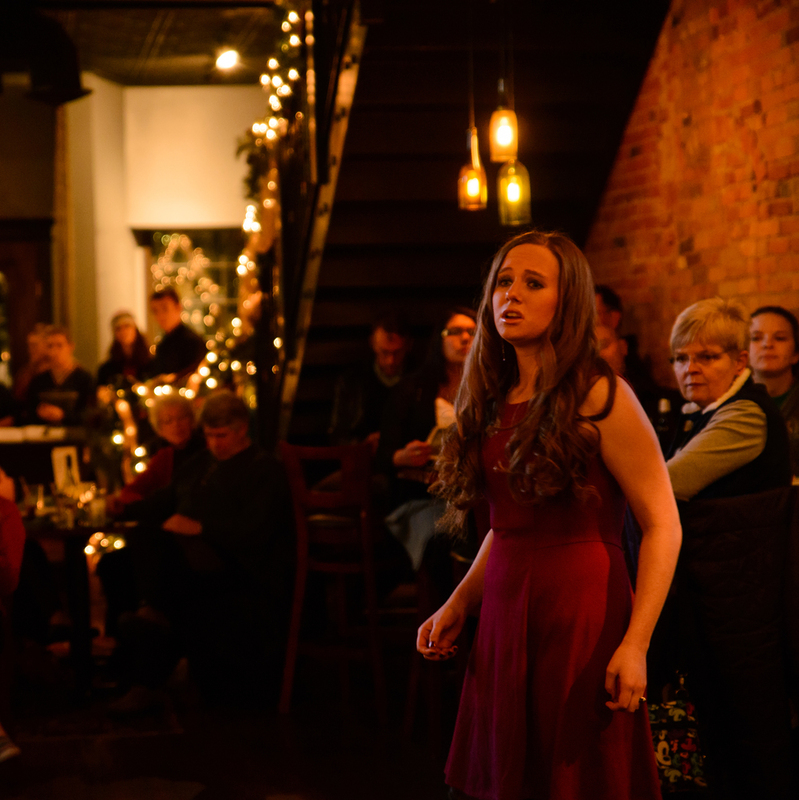 Siena Heights University student, Molly Kuhl performs "Oh Holy Night" at Opera Uptown at Hooligan's in downtown Adrian. Be sure to stick around till the end! You don't want to miss her belt out that last note!